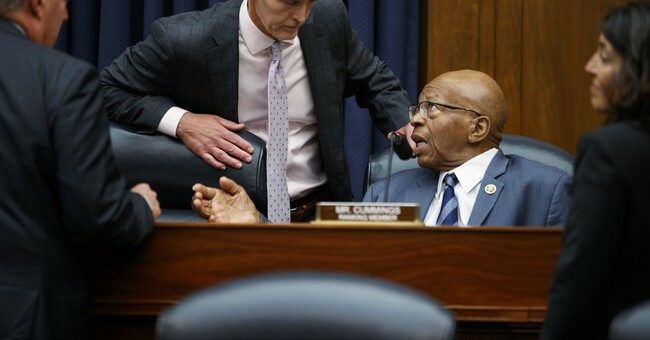 Rep. Elijah Cummings (D-MD) has demanded that Rep. Tredy Gowdy (R-SC) issue a subpoena to the EPA. Cummings claims that embattled former EPA administrator Scott Pruitt was screening FOIA submissions and requests for Congressional documents based on political motivation. Cummings request comes after it was “…reported in May that that political appointees screened releases related to Pruitt as the agency struggled to keep up with a surge of document requests that led to a massive spike in transparency lawsuits,” reports Politico. “I am writing to request that you issue a subpoena to compel the Environmental Protection Agency (EPA) to produce documents it has failed to produce about policies implemented by ousted Administrator Scott Pruitt to withhold information about his tenure in response to Freedom of Information Act (FOIA) requests. On June 11, 2018, I wrote to former Administrator Pruitt requesting that he produce documents by June 25, 2018,” wrote Cummings in a letter to the EPA reports Hot Air. In the EPA’s response letter to Mr. Cummings, we learn the history of FEAT and why it was implemented to begin with. “…it was a program set up more than five years ago under the Obama administration to prioritize the handling of such information requests when they too fell far behind in responses. And Obama’s crew was running late with far fewer requests to handle. It turns out that since President Trump took office, FOIA requests to the EPA,” according to Hot Air. The EPA is claiming biased reporting: “Congressional Democrats are selectively releasing parts of the transcript through the media producing an incomplete and inaccurate narrative. EPA has responded to a record number of FOIA requests and will continue to do so,” the EPA spokesman said in a statement. Hot Air was able to obtain copies of both Cummings letter and the EPA response letter which can be viewed here. This reveals the hypocrisy and carelessness of Rep. Cummings, having failed to fully look into the program. He slammed it and demanded Rep. Gowdy issue the subpoena apparently under the impression it was a program that was issued under President Trump. Under President Obama, the return rate on FOIA and congressional requests was overwhelming the staff who had fallen far behind. Under President Trump, these requests have increased by 400 percent. The program was designed under Obama to assign specially handling of requests deemed "complex or politically sensitive" including Bristol Bay, Alaska, the polluted spill from Gold King Mine and others.